Since we started Pangolin Photo Safaris, it has always been our aim to try own and manage as much of the experience as possible. The only way for us to do that is to start building and managing our own Pangolin Places as well as forming close relationships with other properties that have a similar ethos to us. When we started Pangolin, it was literally with one boat and 8 clients. We now have several boats, many vehicles, and as of 2018 we have three of our own properties. Owning and managing our properties allows us to develop unique, photo-centric itinerary for our clients, secure in the knowledge that you will have the best experience from both a photographic and hospitality point of view. It is our intention to continue to increase our portfolio of properties across Southern and East Africa in the years to come. Below, you will see a listing of all the properties owned and managed by us as well as a selection partner properties. We have worked with these partner properties to develop the photo safari experience and we feel confident that the level of service they offer is equal to ours, and thus worthy of inclusion to our safari offerings. We tend to choose owner managed properties where the owners, like us, are dedicated to customer service and ensuring that the clients leave feeling that they were part of the family and not just another person passing through. 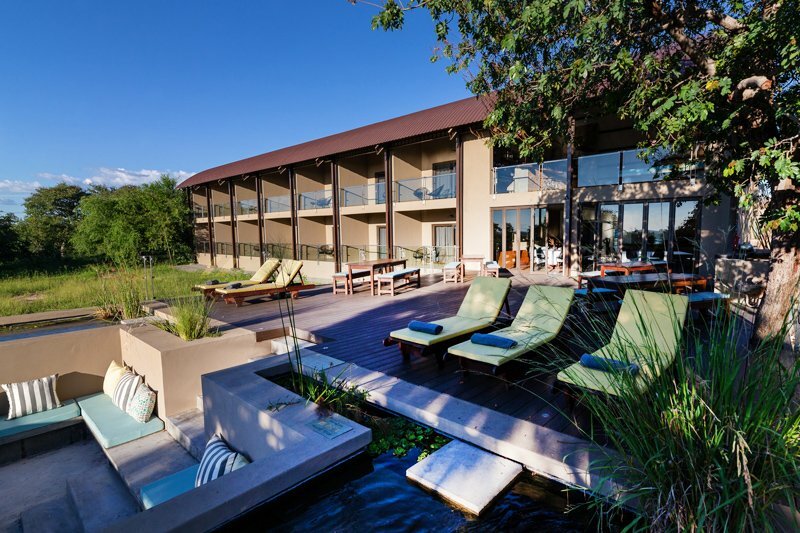 Perched on a plateau overlooking The Chobe River and Caprivi Floodplains the Pangolin Chobe hotel is designed around a wildlife photography gallery. With only 14 rooms it is an intimate property and the base for our iconic photo safari experiences on water and land. Our floating lodge is actually moored on the Namibian side of the Chobe and is the perfect base for families and groups to charter on an exclusive basis. 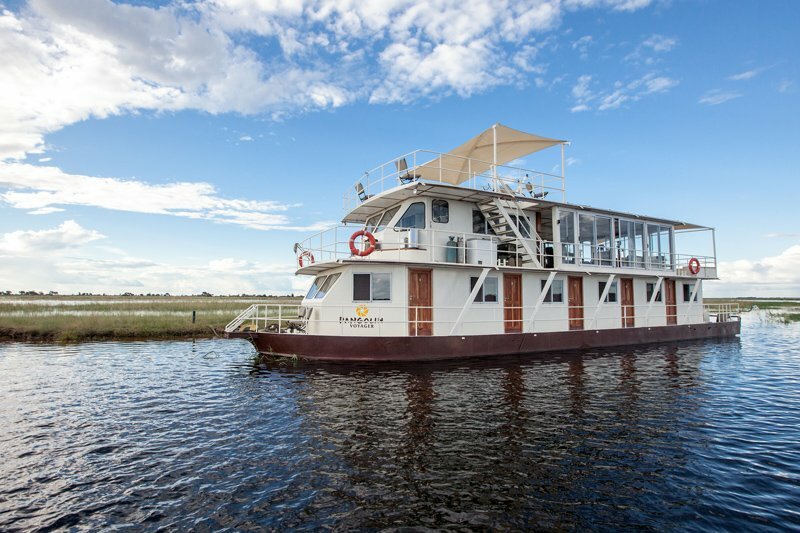 With 5 cabins the Pangolin Voyager can accommodate up to ten guests cruising along the Chobe River. 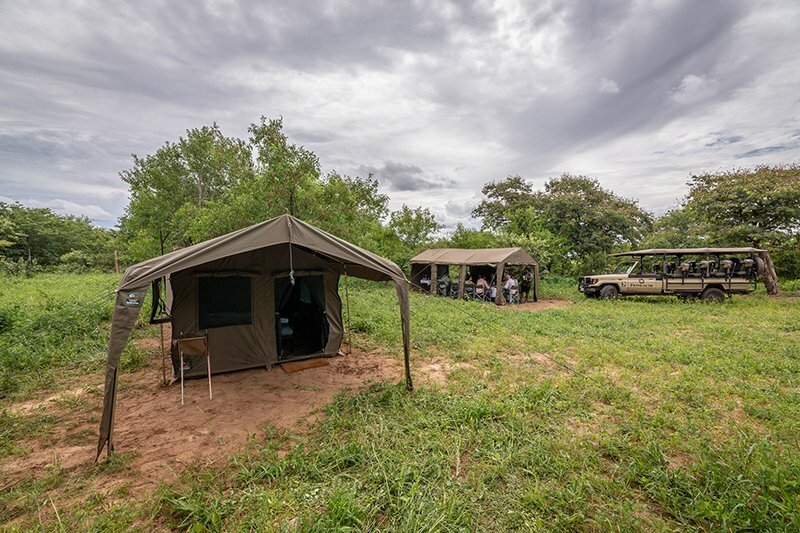 Nestled in the North Westerly region of the Chobe National Park our mobile camp makes use of private campsites deep in the bush. The camp can accommodate up to eight guests at a time and is hosted by a Pangolin Photo Host who is on hand to assist you.